BOOM! New thread, because a thread for this doesn't already exist. 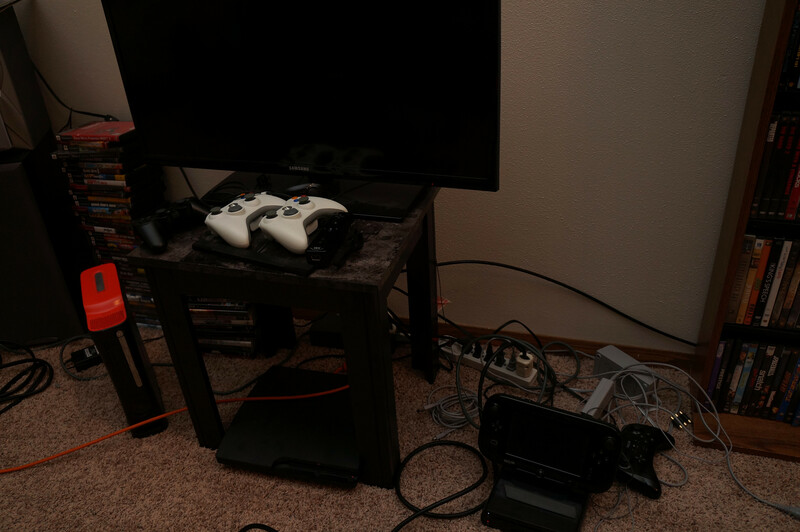 Here's where you post your console gaming setups. I know, I know, PC gaming master race. 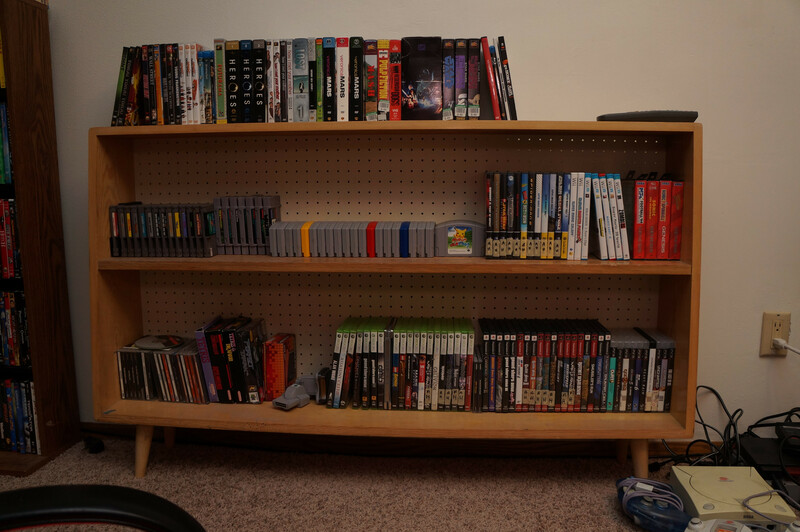 And I agree, BUT ****'s not so cash for console gaming so here's where you can show off your collections. Who knows, maybe we can actually get some retro gaming trades going, or at least some more pics of where you do your couch-lock thumb exercises. Are any of those connected to the tv for glorious 20fps goodness? 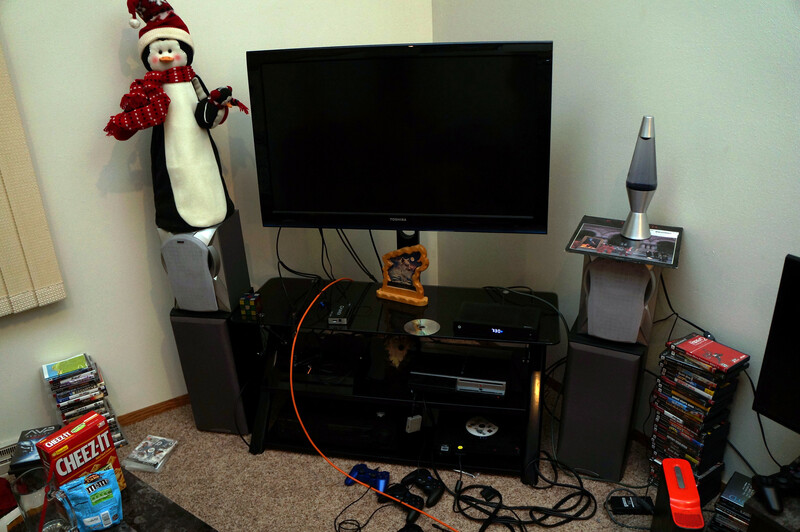 The PS3 is hooked up to my PC via HDMI and optical sound because that TV doesn't support HDMI. 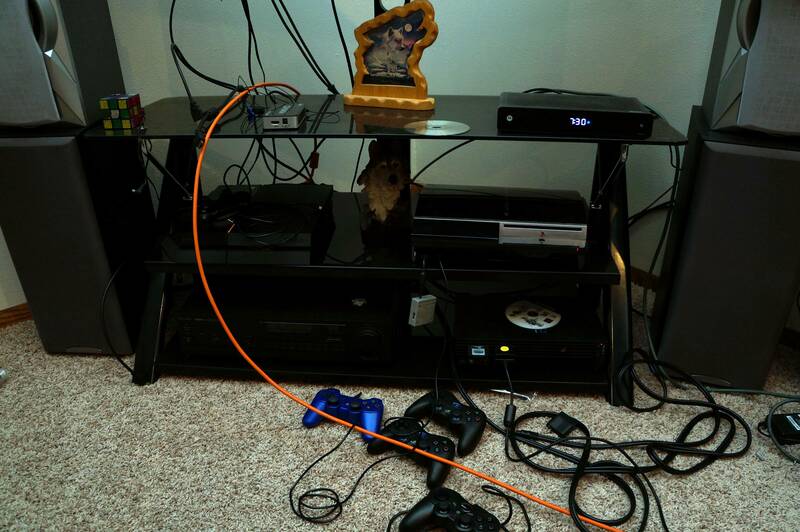 Pretty proud of the neat cable work behind the bookcase. 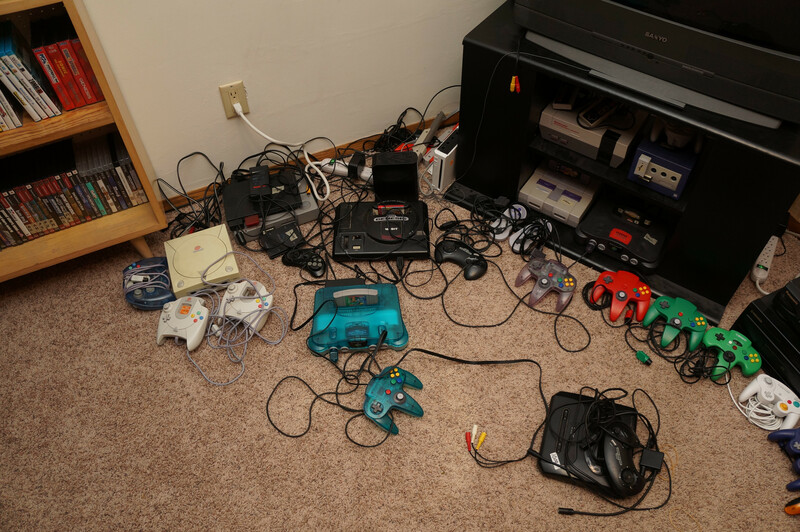 All those systems are modded and connected via S-Video, except the N64, for optimal retro gaming goodness. Come at me PC snobs. 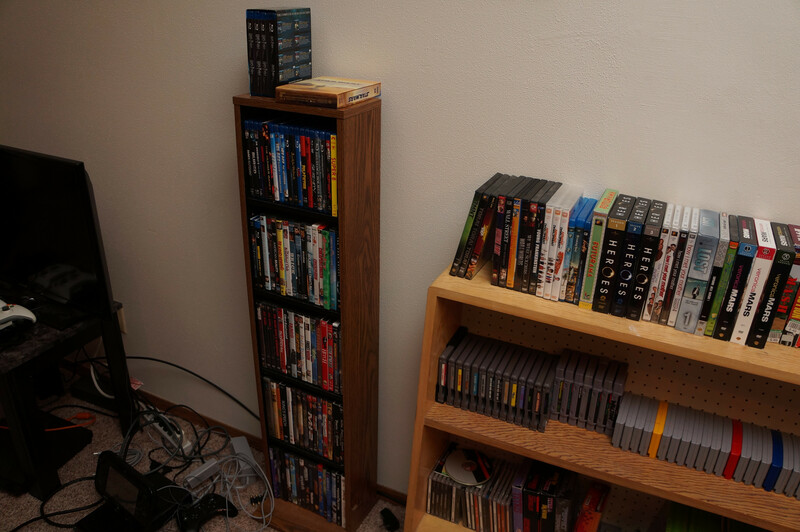 My Neo Geo collection's probably worth more than 3x your entire PC setup. Neo Geo Master Race! This thread is extremely relevant to my interests. I need to secure another bookshelf or two, and then I will post a proper picture. It doesn't look that impressive right now. I do really like your shelving unit you have there, that's pretty cool. 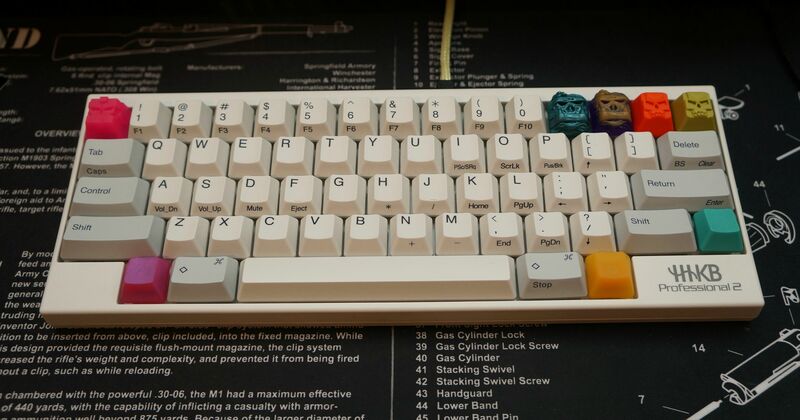 Nice setup. I will say though that for maximum retro goodness I would use a CRT. I will say though that for maximum retro goodness I would use a CRT. Seriously... 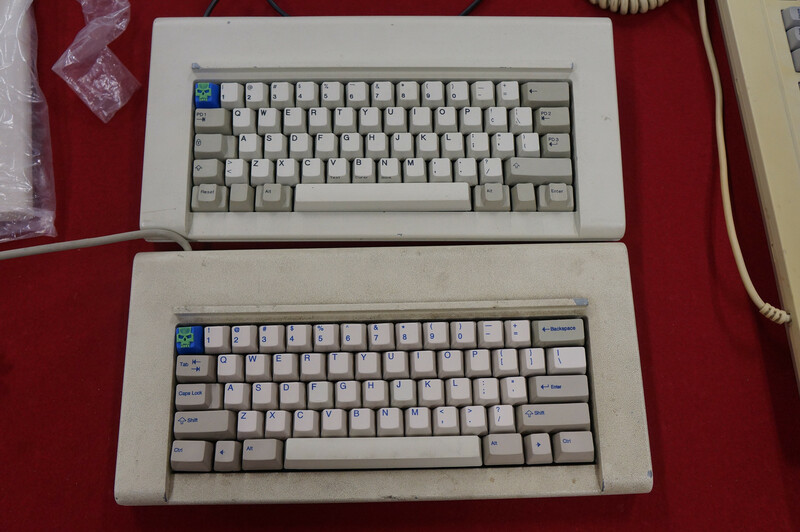 I'll give clack(s) for a good condition working model. I just have a console hidden in my desk, hooked up to my monitor. I can leave both my console and PC running and use the monitor setting to switch between the two. 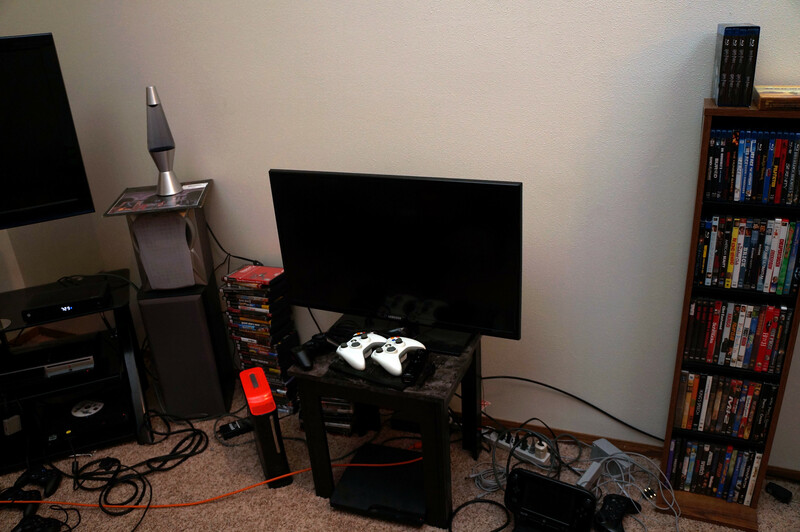 So really, my console setup is just my PC setup. Gimme some time to finish setting up! 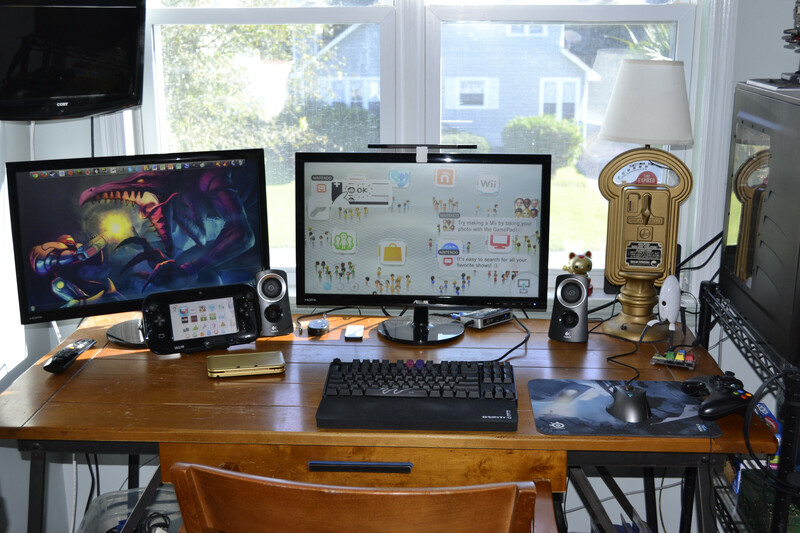 Edit: my main computing area is my main game area, so this one is more like... social games and Kinect et al. 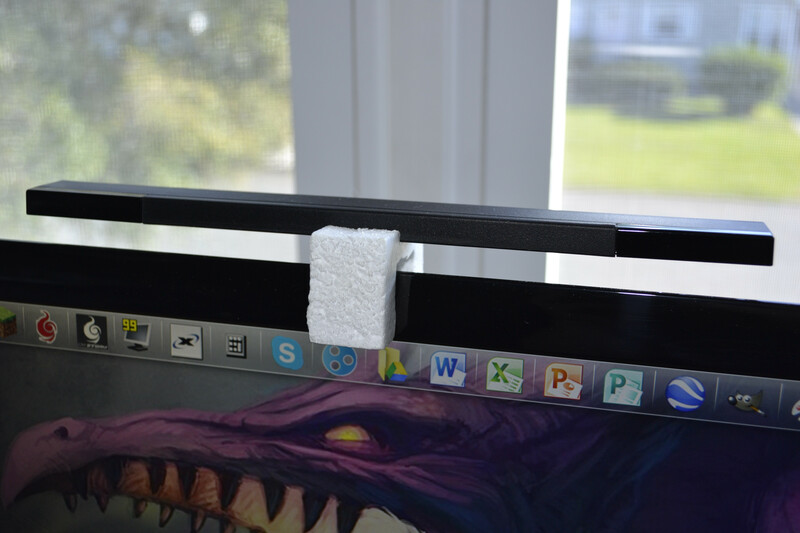 You need a matte display. I would if I even owned a single console. Just finished putting my computer set up with new video card. Now I know it's a lot of Razer. Functionality wise, everything is fantastic, but I would not have purchased it myself. They were all gifts. For everything modern I agree. But nothing in the world beats playing Mega Man X on it's original Super Nintendo hardware, hell, the same goes for every game on a sixth generation or lower console. It's never even nearly as good emulated, compressed, processed, chopped-up and put back together to a modern port. It's the same reason someone would prefer a Model M, a Ferrari F50 GT, or a 21 year old bottle of scotch. **** it. Here it is. Enjoy my poorly-lit and shoddily-edited photos. There are a few in here that don't really show much, but help illustrate how the room is set up, so bear with it. All the games, minus what's in the systems. His games are stacked to the sides. My handhelds are all kept in a separate location, but this isn't really the thread for that anyway, eh? 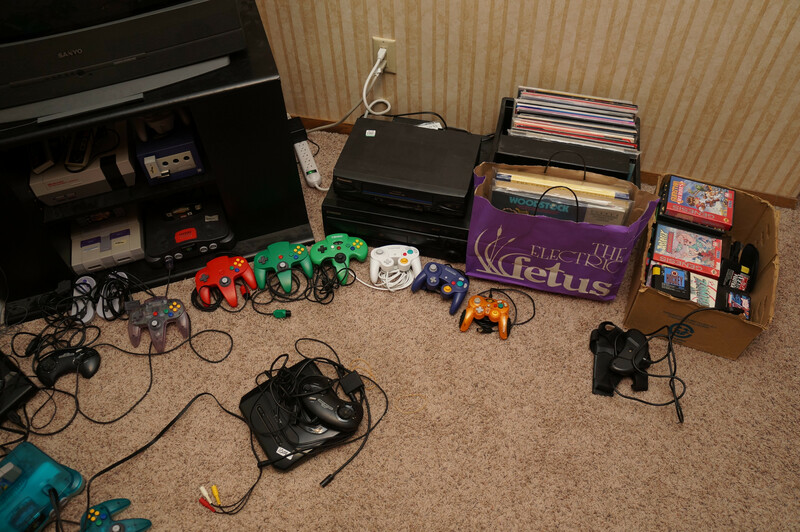 What do you need three N64's for? There are only two. And one is Japanese for playing exclusives. I suppose I have more of a "hybrid" gaming setup. 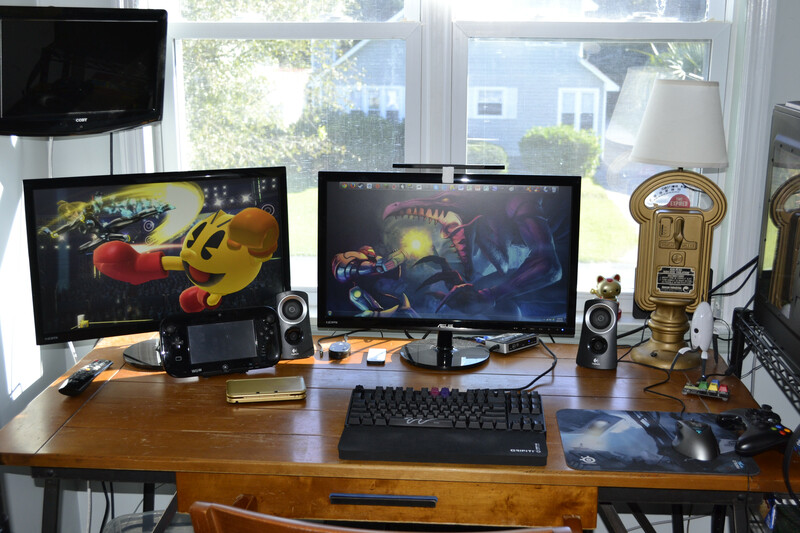 I run both of my consoles (Wii U and PS3) to my monitor that I use for PC gaming. 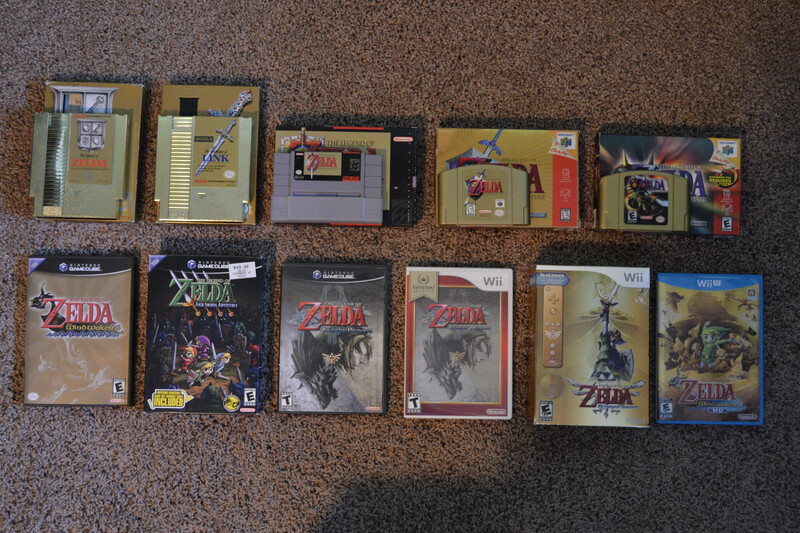 Also, holy hell that Zelda collection is amazing. I love it! Didn't even see these until just now. I'm so sorry, based mod. Pls forgive. Hey, you're all doing better than me, my collection is still in boxes. You don't really have the whole collection in boxes still, do you? 3 SNES seems appropriate. You never know what'll happen. 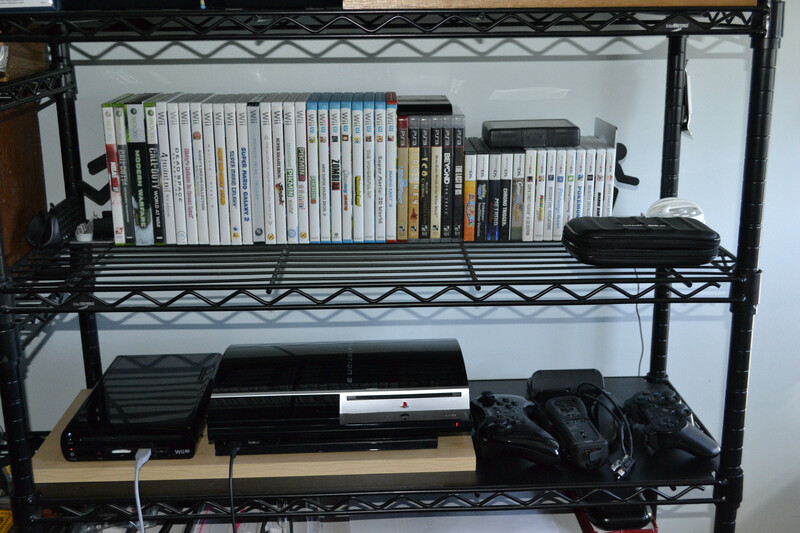 Though, that said, I would buy more games before another system, given the size of my collection. 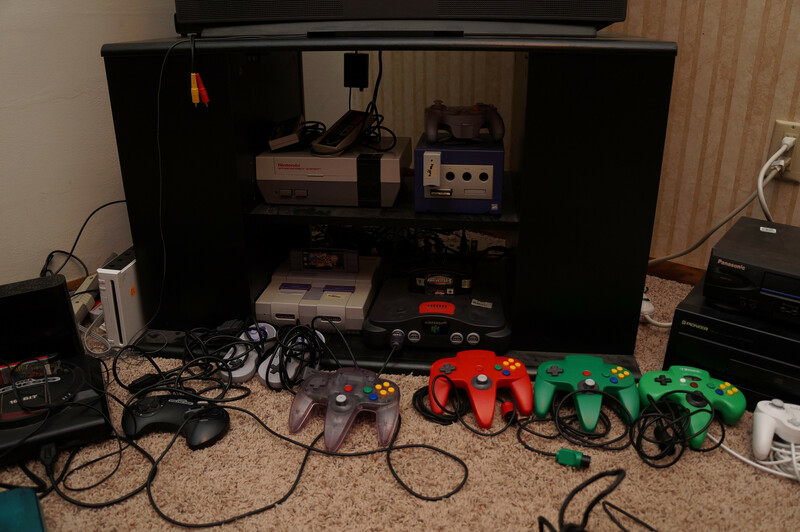 SNES is the one system I never had as a kid ( ). Well, you gotta have an original SNES, a Japanese SNES, and the restyled SNES. That's 3. I have those, plus one extra original version. Someone sell me their extra SNES please . I've heard great things about your collection. I'm coming to your house to game! Agreed, SNES Jr. looks so damn good. The SSK of retro console collecting! 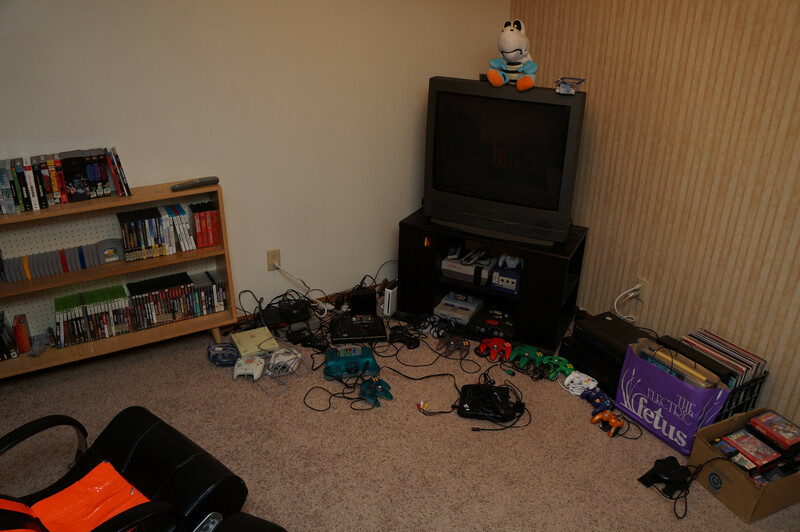 All I have is NES and PS1. Gave away and sold the rest. NTSC Neo Geo Pocket Color (left) JP NGPC Slim model. It's slightly smaller! Loose carts. Match of the Millennium, Cardfighter's Clash (either version,) and Metal Slug 2nd Mission are my favorite games for the system. A NGPC promotional cap and light-up pin. BNIB link cabel, and CIB AC adapter. Rare NGPC → Dreamcast link cable. Handhelds are fair game in this thread? Don't tell CPTBadAss! damn i miss cartridge gaming. Lost a lot of now valuable titles too. I had so many regrets selling mine with Super Mario World for $12. Thankfully you can buy a new one for around 20 bucks, so it's not so bad to catch yourself back up. I picked up a SNES over the weekend since no one in this thread would sell me one ...and I got it modded so it can play Super Famicom games. Someone sell me Link to the past cheap now . Page created in 0.161 seconds with 85 queries.